The quality of information on cocaine addiction on the web is generally poor, confirming previous studies on other health issues. Furthermore, universities seem to be poorly active in proposing websites (8.2%), while commercial organizations hold 55.7% of the studied websites. This seems a little of topic but for depression the quality of websites for information about depression and it’s treatment is also poor. Wouldn’t it be nice to have a quality scale for health websites? The authors used quality indicators. They looked at: quality of content, design and aesthetics of the site, readability, dating of information, authority of source, ease of use, accessibility and disclosure of authors and sponsors. Health on the Net foundation (HON) has issued a code of conduct for medical sites covering much of the above mentioned and attributes a quality label taking into account the following points: disclosure of authorship, sources, updating of information, disclosure of editorial and publicity policy, as well as confidentiality. Sites having the HON label scored higher. The global score seems to be a direct content quality indicator. It could be helpful for people to be informed by this quality indicator. It remains however a complex measure. Further larger studies on websites, including more sites with the HON label may help to conclude about its usefulness as a content quality indicator. Another quality measure used was the Silberg measure. This measure used accountability standards (disclosure of authorship, ownership and currency of information). They may be useful indicators of the quality of web health information. These accountability criteria have been widely assumed to reflect web site quality. But it doesn’t account for website content. The third measure used was DISCERN. DISCERN is a brief questionnaire which provides users with a valid and reliable way of assessing the quality of written information on treatment choices for a health problem. DISCERN can also be used by authors and publishers of information on treatment choices as a guide to the standard which users are entitled to expect. They reviewed 120 websites. 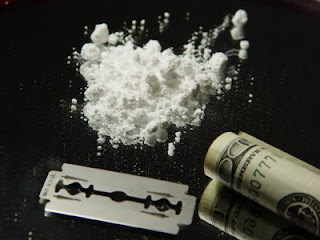 There was a sensible overlap in the sites identified by the two search engines (Google, Yahoo) and the three keywords: cocaine, cocaine addiction and cocaine dependence (35/120). This left 85 websites. Of these, 24 were excluded for the following reasons: 6 contained no information on cocaine addiction; 3 were inaccessible, 2 required an access fee; 13 were not websites (only external links or books). They included 61 sites in our study. Does anyone know a better way to score the quality of content of health websites, please let me know in the comments. Digital Divide in Internet Addiction? I realize that this defeats the purpose for many Internet users, but really the best way is to print out the information and take it to your personal physician. She or he will tell you what is decent and what is not. The problem with automated or algorithm-based measures is that they may indicate the quality of the site, but not of the particular information that one is seeking. So they could be a general guide, but they always will lack specificity. For reasonably web-savvy persons, I tell them so start on a general site, such as WebMD, then use PubMed to hone in on specific questions. Unfortunately, most people can’t get very far with that method. Thanks that is really good advice. Sets my mind on thinking on the subject from a more pragmatic side. Makes it an interesting topic for other posts.